Students and staff from Bradford Forster Academy (BFA) in Bradford are planning to remember the sacrifice of those who fought in the First World War in a big, public way. On Thursday, 8th November staff and pupils will be filling a side of their playing fields with a giant poppy, made up of their individual ‘thank you’ poppies. 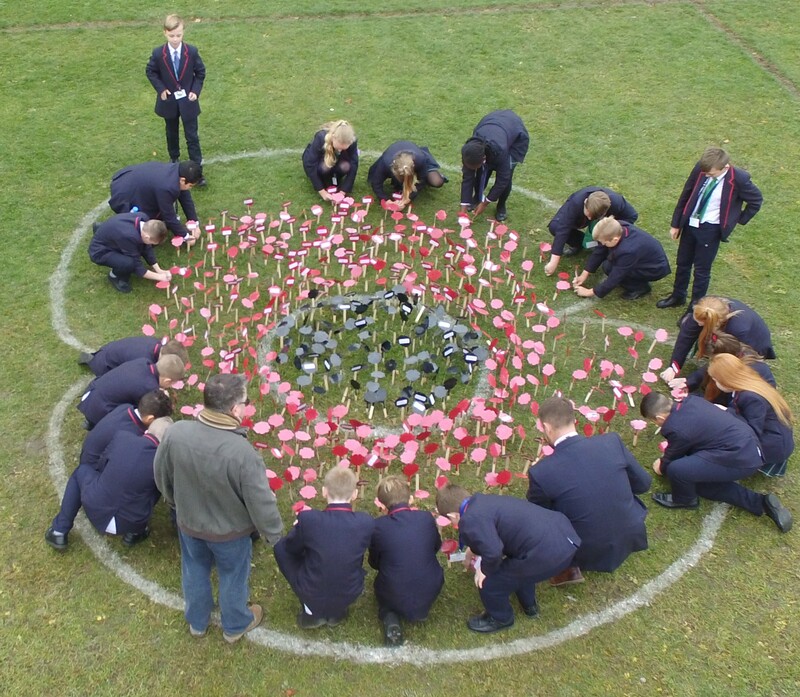 The OFSTED rated ‘Good’ and SIAMS rated ‘Outstanding’ Church of England academy works hard to implement an ‘#attitudeofgratitude’ in all members of its community, with the giant poppy display being the latest expression of this key school value. In the week before pupils and staff will be making individual weather proof paper poppies, with each one bearing a personal message of appreciation to remember the 100 year commemoration of the armistice signing which officially brought the first World War to a close. BFA have already started remembering the Great War with a special entrance hall display built by staff member Mrs Sandra Murgatroyd and by filming staff members who have family connections to the First World War.